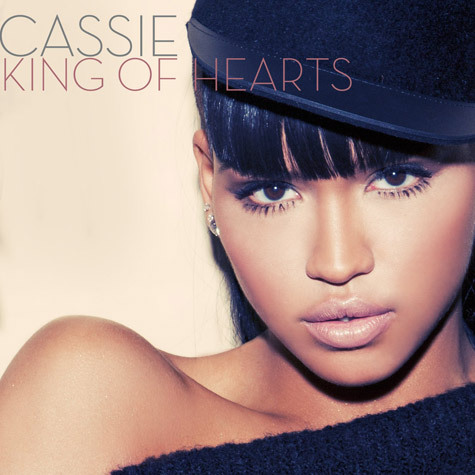 Cassie, “musically” famous for ‘Me & U‘, but more famously for being Diddy’s model chick on the side, has released her actually much anticipated single ‘King of Hearts’. Although her album was terrible, and she couldn’t carry a tune to save her life, she was able to build a pretty big fan base. She leaked plenty of tracks through the years hinting at her Electronic style direction and at the end of last year released her 30 second teaser for this song. I didn’t think too much of it but with all the hype going around this track I definitely thought it would be bigger than it is. I hate to say it but I do actually kind of like it, although it definitely doesn’t live up to the hype I have been hearing. I dread the day she tries to promote this track though. This entry was posted in New Music and tagged Cassie, King of Hearts. Bookmark the permalink.